UK Foreign Secretary Boris Johnson and former PM David Cameron ‘dad dancing’ in New York just a day after the London terrorist attack, which left five people dead and 40 injured, is “disrespectful,” an MP has said. Just hours before the old friends reunited, thousands of Londoners held a candlelit vigil in Trafalgar Square for those killed. Lib Dem MP John Pugh told the Mirror: “You would have thought that Boris would have come back to the UK to be involved in COBRA [emergency] meetings rather than sitting down for a chummy dinner with his old Oxford pal. Nations around the world are pouring out their sympathies for us today. This is a fight we're all in together. After a very public falling-out over the EU referendum, the ex-PM and foreign secretary’s friendship is clearly back on track. 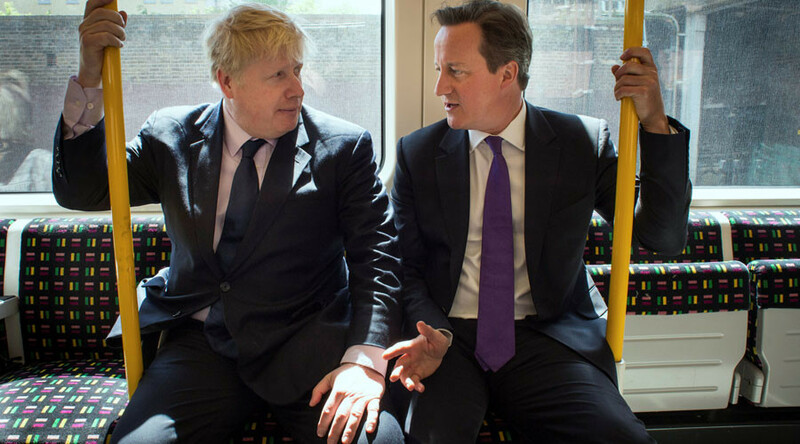 Their 30-year association came under strain when Johnson abandoned Cameron’s campaign to keep Britain in the EU, opting instead to lead the charge for the opposing side. The politicians, who have known each other since their days at Oxford University, exchanged personal insults during their referendum campaign. They were members of the notorious Bullingdon Club, the elite dining clique founded over 200 years ago which is known for its hard drinking and bad behavior, including vandalizing restaurants. The result of the EU referendum ended Cameron’s six-year tenure at Downing Street and 10 years as the Conservative Party’s leader. On Thursday night, the pair were photographed on the streets of Harlem, NYC, after dining together at the popular Red Rooster restaurant. Joanna Geary, who works for Twitter, posted photographs of the old friends as they left the restaurant. “I hadn’t seen David until Boris said, ‘I suspect you’ll recognize my friend David,’ and pointed in his direction,” she said. 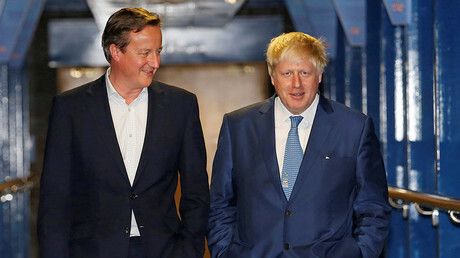 Cameron is on a speaking tour in the US and Johnson arrived earlier this week to attend a counter-terrorism conference. Cameron and Johnson are believed to have brokered a truce in October last year, when they met on the balcony of a room at the five-star King David Hotel in Jerusalem. They reportedly hashed out their differences over whiskeys.